Spring is Bee Season - Yes Pest Pros, Inc. Spring is Bee Season - Yes Pest Pros, Inc. 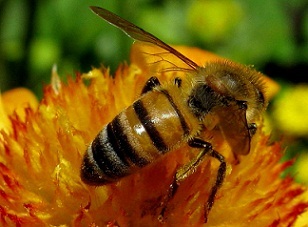 Bees in all their varied species are one of the most beneficial insects in the world. Active pollinators, they are responsible for helping about 30% of the plant-based foods in the American diet. However, since they have developed a highly effective and painful defense mechanism, humans often relegate this insect to the realm of pest and call the exterminator. All the insects collectively called “bees” are not the same. There are over 20,000 different species of actual bees in the world but the ones commonly seen in your yard are typically a true bee or a wasp. Bees: bumble bees, honey bees. Wasps: yellow jackets, paper wasps, hornets. Wasps can be solitary hunters, parasitic or social. Social are the most protective and thus most dangerous of the group. If you find bees or wasps on your property, calling in a professional is probably the wisest action. Their stings can be painful at best and deadly at their worst so having a professional pest services company get rid of them is a smart move. Aggressive hornets and wasps can deliver a very painful sting and live to keep on stinging. They often attack en masse to defend their nests. Their venom can cause severe allergic reactions even in people who have no history of anaphylactic allergies. Honey bees can sometimes be relocated if they are discovered at the right time. Some county extension offices keep lists of beekeepers willing to capture and relocate swarms of honey bees. However, if they have established a comb within a wall the problem may be too large for relocation. Once a large comb is created, it will melt and run if the bees are not there to maintain it. This can damage the wall and attract other pests like mice and ants. Wasps are another matter. They should really be dealt with by your Bloomington bee exterminators. The aggressive nature of these insects makes getting rid of a hive dangerous for homeowners. Do not know down an active hive or nest. Do not spray at or into an active nest. Do not throw rocks or other projectiles at an active nest. Let the pros get rid of the problem and concentrate on prevention. Most bees and wasps like dry, quite spots away from wind and weather for their nesting spots. Use insect mesh to cover eaves and soffits and make sure all the crevices are caulked. Remove and replace rotting wood on sheds, decks and other outdoor structures. Bees and wasps like to use this for building materials and carpenter bees may use it for a nesting site.